According to Paul, an elder must be “the husband of one wife…” (Titus 1:5,6). He must also have children who are “in subjection with all gravity” and who are “faithful” (Titus 1:6). Are you married? Do you have children who are faithful? Do you fit these scriptural qualifications? 2. Why do you install deacons at age 12? 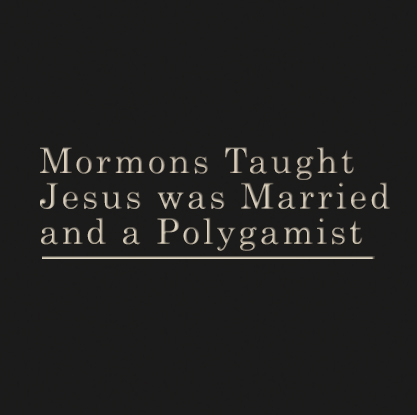 Paul writes, “Let the deacons be the husbands of one wife…” (1 Tim. 3:12a). Are these children married? He adds, “…ruling their children and their own houses well” (1 Tim. 3:12b). Do your children at the age of twelve have children of their own, as well as their own houses? 3. Would you follow a doctrine which contradicts the Bible? If not, why not? If so, why use it? 4. Does the Bible contain all that is needed to be added to the Lord’s kingdom/church? Does the Bible contain all that is needed to know how to remain faithful and obtain eternal salvation? If so, then why is the Book of Mormon or any other book needed? Every conversion in Acts explicitly describes what one must do to be saved. 5. If I had never heard of the Book of Mormon, could I still go to heaven? If not, then what is the point of your proxy baptism (baptism for the dead)? If yes, then why do I need it? 7. If man is as God once was, then who was God’s god? Joseph Smith declared, “God himself was once as we are now, and is an exalted man…” (Teachings of the Prophet Joseph Smith, 342-346). What is eternity if there is a beginning? If God had to have a beginning, then who was the first god? Mormonism teaches God once lived as a man on another planet and became a god. He lifted his mate up to be a heavenly goddess. In retrospect there would be many gods, but we just worship the one in the Bible. If true, explain Isa 44:6-8. 8. Would you be willing to renounce Mormonism if its doctrine was different from what Paul and the other apostles wrote? Paul, an inspired apostle wrote, “But though we, or an angel from heaven, preach any other gospel unto you than that which we have preached unto you, let him be accursed. As we said before, so say I now again, If any man preach any other gospel unto you than that ye have received, let him be accursed. (Gal. 1:8, 9). 9. Was the Book of Mormon divinely translated into English by an inspired prophet Joseph Smith? If so, why did the original copy contain spelling and grammatical errors? Did the Holy Spirit not know how to spell or put together a sentence? If it was an error on the part of Joseph Smith, then would it not make him stronger than the one inspiring him? How can this be reliable evidence of inspiration? 10. How is it possible that the Book of Mormon was translated into Elizabethan English? 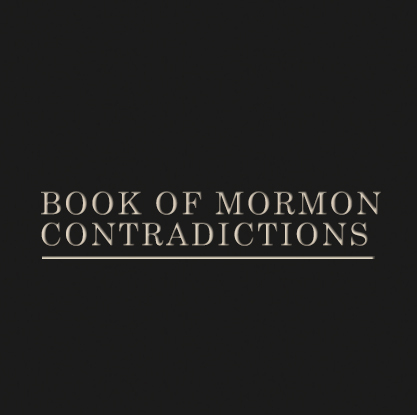 The King James Version of the bible was translated in 1611, yet the Book of Mormon contains many quotes directly from it. Some claim the KJV borrowed from the Book of Mormon, but how is that possible since the Book of Mormon was translated almost 200 years later? Some claim that God gave the same revelation to the people here that he did in Palestine, but how would he give it in King James English? There is no historical accuracy to this claim.